Our community received an early Christmas present recently when a new home in Newport Cove won the Home Builders Association of Greater Chicago’s prestigious Gold Key Award, an award recognizing excellence and innovation in housing. 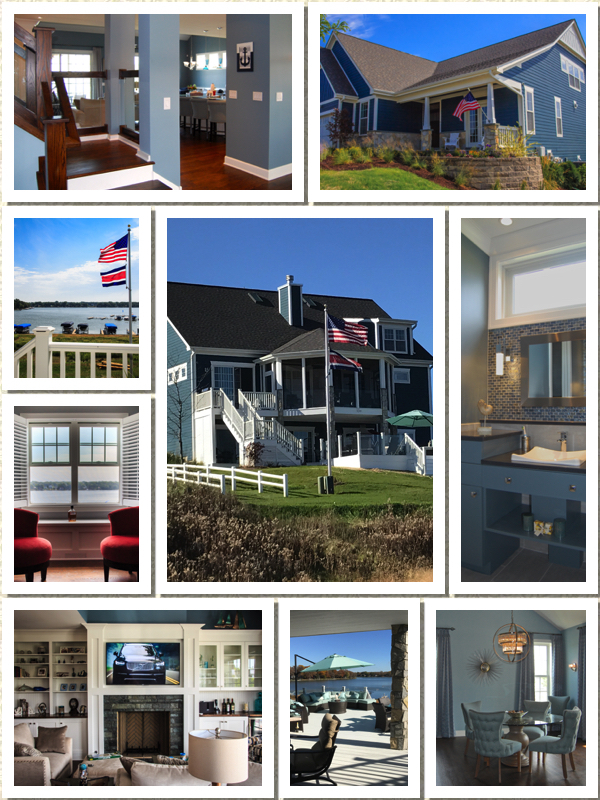 The waterfront house, 3,000 square feet plus a finished walk-out basement, is a Cape Cod-style structure and an expanded version of our Stillwater model, one of the community’s “cottage” homes. Built as a summerhouse (or weekend home), the award-winner has five sleeping areas (including a “dorm” for the grandchildren), 5.5 baths, screened porch, two outside decks and a beautiful view of Bluff Lake. The finishes are upscale modern cottage style, a blue/green mix of homey and sophisticated, with ample room to socialize, eat, relax, spend a bit of private time, or simply sit and ponder the lake.